The Tyrannosaurus Rex was one of the largest and most famous extinct reptiles of all time. It stood approximately 4.5m high and was over 12m in length. In its large mouth were 15cm sharp, serrated teeth and it was roughly 6000kg in weight! This Tyrannosaurus Rex is almost as cool as the real thing, but isn't extinct! The realistic T-Rex replica stands 21m in height, 22cm long, and 6cm wide. Made from 100% latex rubber, with inbuilt wire pieces so you can control the tail, this is one cool gift for adult and children dino-lovers alike. This cool dinosaur is coated with a very life-like rubber skin and filled with soft polyester fibre, so they feel firm, but remain soft. 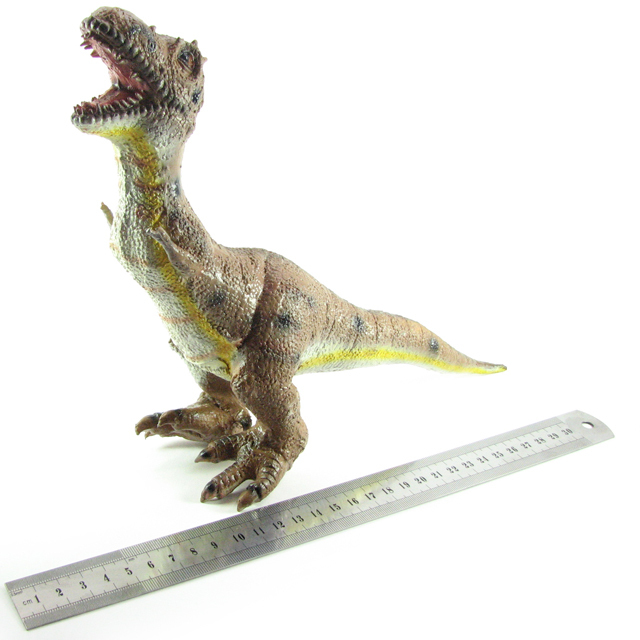 So scare your friends and family with this realistically cool Tyrannosaurus Rex - and start collecting today!